Of all the germ-ridden places in your car, the biggest culprits are the keys, the steering wheel, and, if you have kids, the infant or toddler car seat. Nothing gathers crumbs and spills quite like a car seat, especially if you’re a busy parent on the go. French fries wedged in cracks, spoiled milk on the upholstery, and sticky fruit snacks are among the most common problems, but even if your child isn’t allowed to eat in the car, chances are there’s going to be some build-up over time. 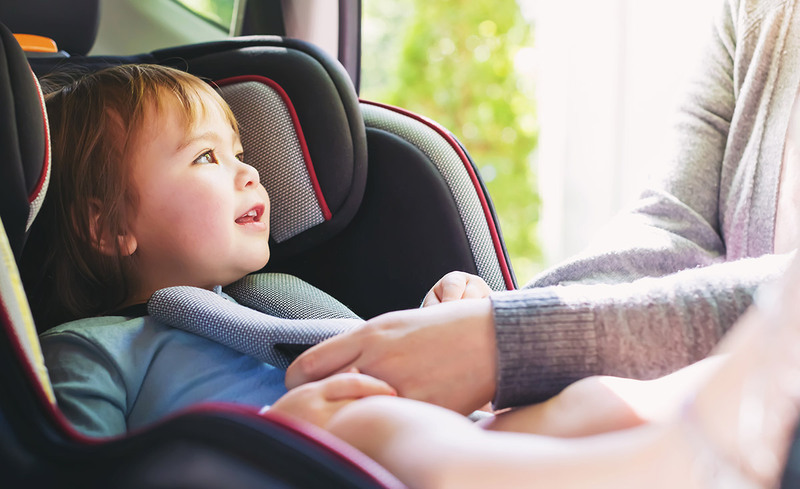 Keeping your child’s car seat clean is important not just to keep the germ exposure and mold growth to a minimum, but to ensure that it’s operating at the highest safety level possible. Any dirt or jammed food products that interfere with way the seat sits or buckles in could prevent it from working the way it needs to in the event of an accident. It’s best to work car seat cleaning into your regular car wash schedule, which means it should be done at least once a month. A quick vacuum of the largest crumbs will help between washes, but a deeper clean will ensure that everything is operating as it should. Almost all car seats have a removable cover, making this part quick and easy to wash. However, these can shrink or lose some of their strength in a machine, so it’s recommended that you hand wash and line dry these items. You can also clean them at a self-service car wash. A quick spray while you’re also cleaning the floor mats can eliminate some of those light stains and crumbs, and you can also spot clean the problem areas at this time. Either way, always wash the cover separately from the rest of the seat components, as they may have metal parts that can rust or jam if they don’t dry properly. While the cover is off, you should also take some time to wipe down the plastic base and buckle components. Although you don’t want to subject these to high-pressure car wash sprays, you can grab some cleansing wipes and get the job done on site. The straps should also be spot-cleaned by hand, as a washing machine or spray could break down the strength and make them less effective overall. When it doubt, read the user manual for your specific car seat model to ensure you aren’t causing long-term damage. It’s also important to make sure all the components are fully dried before you reassemble the car seat. Damp parts can cause mildew to form, especially in those hard-to-reach places.